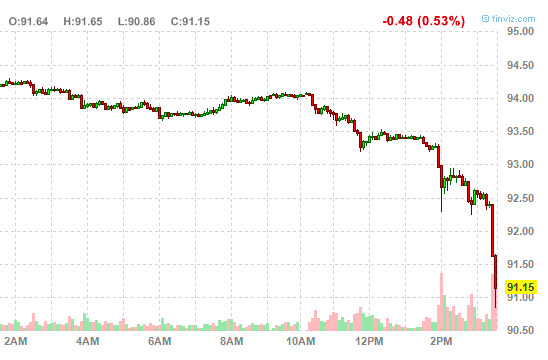 We mentioned earlier that the yen was rallying sharply, but wow, it just continues. Basically, in the risk-off move (which seemed to be a result of the destabilizing Italian election), people are zooming back into the safe-haven yen. Check out this move of USDJPY. 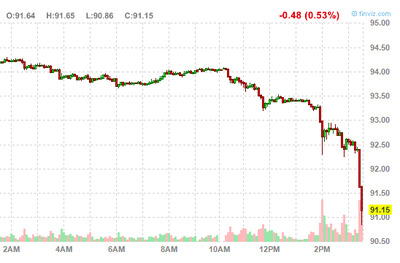 The dollar is just plummeting against the yen. Given that a weak yen has been a big driver of a strong Japanese market, watch out when the Nikkei opens tonight. It could get really clubbed on this yen strength.